In 1993, Sandra and Joseph L. Rotman made a gift of $3 million through the Rotman Family Foundation towards the construction of a new state-of-the-art facility for the University of Toronto's business school. In 1997, they made an additional gift of $15 million, and the School was aptly re-named in Joseph Rotman's honour. On April 6, 2016 it was announced that the Rotman family made a transformational gift to the Rotman School of Management. This gift from Joseph and Sandra Rotman makes them the most generous benefactors in the University’s history, following numerous significant gifts over the past 20 years. This new $30 million gift will be matched by the University of Toronto in order to establish a $45 million Rotman Catalyst Fund as well as provide additional support to the School’s highest priorities such as scholarships, faculty positions and infrastructure investments. The Rotman Catalyst Fund will act as a “venture fund” for the Rotman School, used to fund bold and innovative initiatives to continue to transform management education and to increase the impact of the School’s students and new thinking. 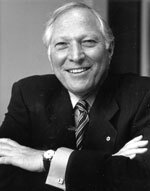 The Rotman Catalyst Fund was conceived by Joseph Rotman in collaboration with the leaders of the School shortly before he died. Joseph L. Rotman, O.C., LLD, was born on January 6, 1935 in Toronto, Canada. He received his B.A. from the University of Western Ontario in 1957 and his M.Comm. from the University of Toronto in 1960, after which he studied at the Columbia University Graduate School of Business in the Ph.D. program. He was appointed an Officer of the Order of Canada on January 4, 1995, and inducted into the Canadian Business Hall of Fame as a Companion in May 2009. He was also awarded three honourary LLD degrees in his lifetime; from the University of Toronto in 1994, from the University of Western Ontario in 2009, and from Memorial University in 2013. Mr. Rotman was Chairman of Roy-L Capital Corporation, a private family investment company. He launched his business career in 1962 and was involved in establishing a number of private and public companies active in oil trading, petroleum distribution, oil and gas exploration, merchant banking, real estate and venture capital. He served on numerous corporate boards including the Bank of Montreal, Barrick Gold Corporation, Canada Northwest Energy Ltd., Masonite International and TrizecHahn Corp. He founded Tarragon Oil and Gas, Geocrude Energy, PanCana Resources, PanCana Minerals and Embassy Resources, as well as a number of other companies, and served as their Chair. He also founded Clairvest Group Inc., a merchant bank, and served as a Member of the Board. Mr. Rotman passed away on January 27, 2015. He is deeply missed by his family, friends, and colleagues at the school that bears his name. In 1993, Sandra and Joseph Rotman, made a gift of $3 million through the Rotman Family Foundation towards the construction of a new state-of-the-art facility for the University of Toronto's Faculty of Management. An additional gift of $15 million followed in 1997, and the School was aptly re-named in Joseph Rotman's honour. Under the leadership of former Dean, Roger Martin, the Rotman School of Management became the number one business school in Canada, as ranked by the prestigious Financial Times rankings. Pleased with the School's progress, in December of 2007 the Rotmans made a further gift of $18 million to the School: $10 million towards the newly-established research centre, The Martin Prosperity Institute (established earlier that year by a $50-million grant to the Rotman School by the Province of Ontario); and the remaining $8 million to support various projects including the University's undergraduate Commerce program, now known as Rotman Commerce; the School’s award-winning magazine; the construction of an expansion of the School adjacent to its current location; and ongoing academic research activities at the School. With their most recent gift of $30 million, the Rotman family’s support has reached unprecedented levels both for the Rotman School and the University of Toronto. This new gift is transformational in its capacity to take the School to the next level of global impact by establishing the Catalyst Fund. Learn more about Mr. Rotman's Career & Life.